Welcome signs to the Isle of Wight should include the following disclaimer: ‘Warning: you are about to enter a ‘no holiday reading’ zone. I packed three books and two magazines with me for our week’s stay. All returned unopened and in pristine condition. Guide books, maps, pamphlets and brochures, on the other hand, were well thumbed and tattered with use. 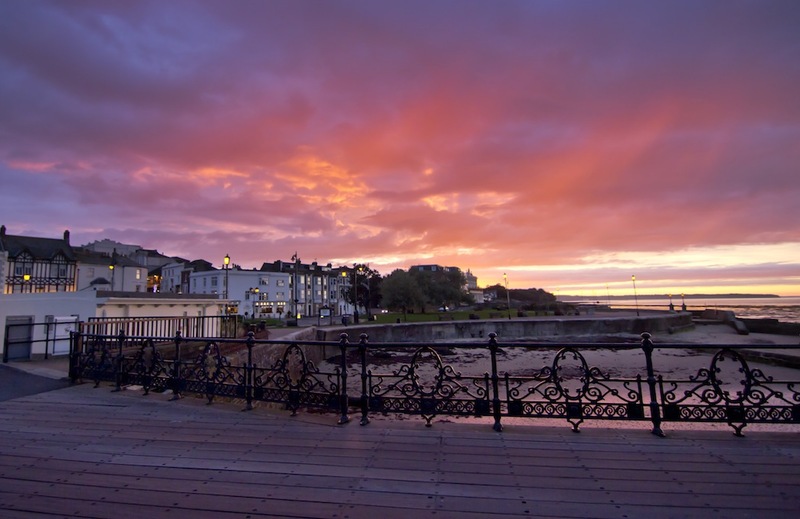 This gem of an island – just a short ferry ride from the UK mainland – may only be 13 miles long and 27 miles wide but when it comes to providing attractions it punches well above its weight. And whichever part of the island you choose to stay at, staying put would be criminal. From theme parks to castles, stately homes to spectacular beaches, fossils to farms, the island has it all. And its own microclimate to boot. 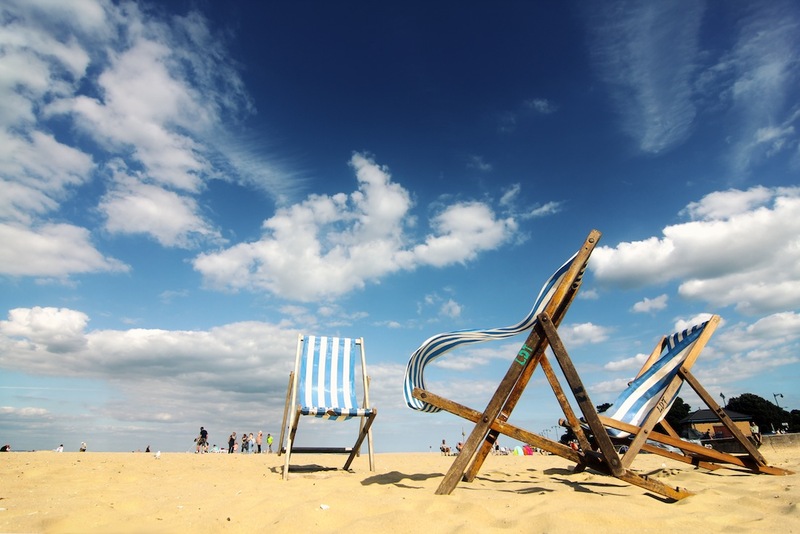 While the UK mainland shivered under brollies during the third week of the summer holidays we enjoyed glorious sunshine. 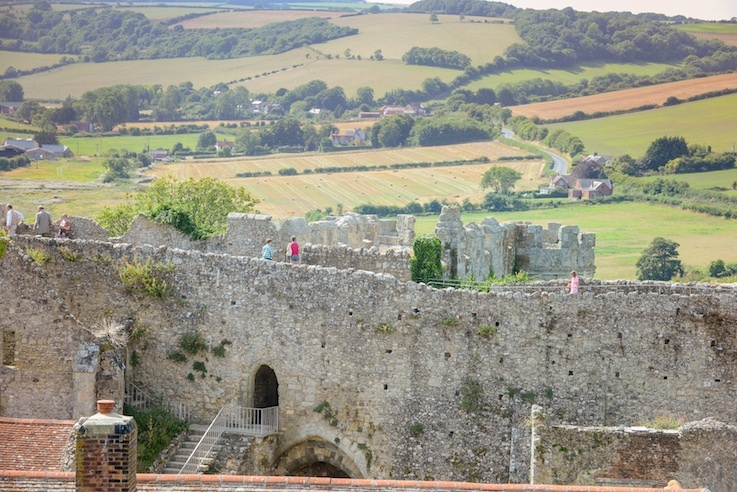 First on our list of places to visit was Carisbrooke Castle. Originating in Saxon times this motte and bailey castle is one of the shiniest jewels in the crown of English Heritage. Its hilltop location and wall-walk offers spectacular views over the island (but the wall can get congested so visit early or late in the day) while history lovers can lose themselves in fascinating facts. 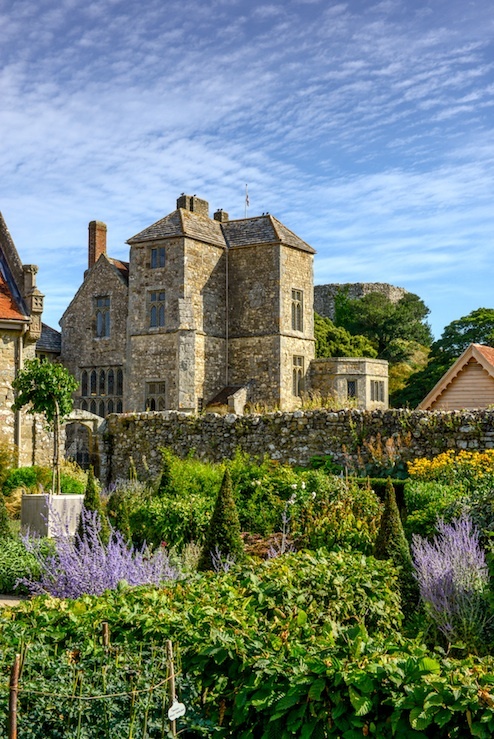 (The castle was home to Charles I shortly before his execution – and Queen Victoria’s daughter, Princess Beatrice made this her summer home until 1938). 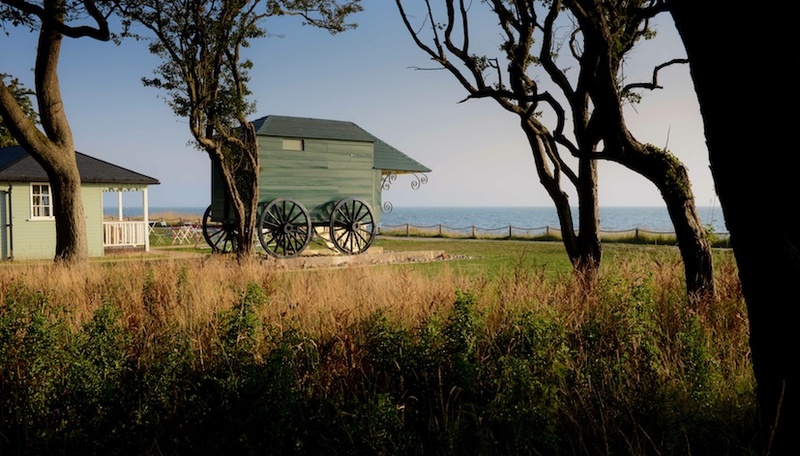 English Heritage organises lots of extra events throughout the summer and we’d strongly advise planning your visit around one of these days. We were lucky enough to experience the Clash of the Knights – and spent hours watching four teams of medieval armoured knights battle it out with bows, arrows, clubs and shields for supremacy, while crowds waved flags of allegiance and cheered on their favourite team. In between official battles children got the chance to arm themselves with rubber weapons and take part in supervised mass battles. Surprisingly, and despite our misgivings, all partakers followed the instructions to play nicely and avoid smacks in the face, and there were no casualties. Carisbrooke also holds ‘outdoor’ cinema nights during the summer. These sell out quickly and we could only imagine the wonders of Star Wars against such a magical backdrop – but it’s definitely on our ‘to do’ list. 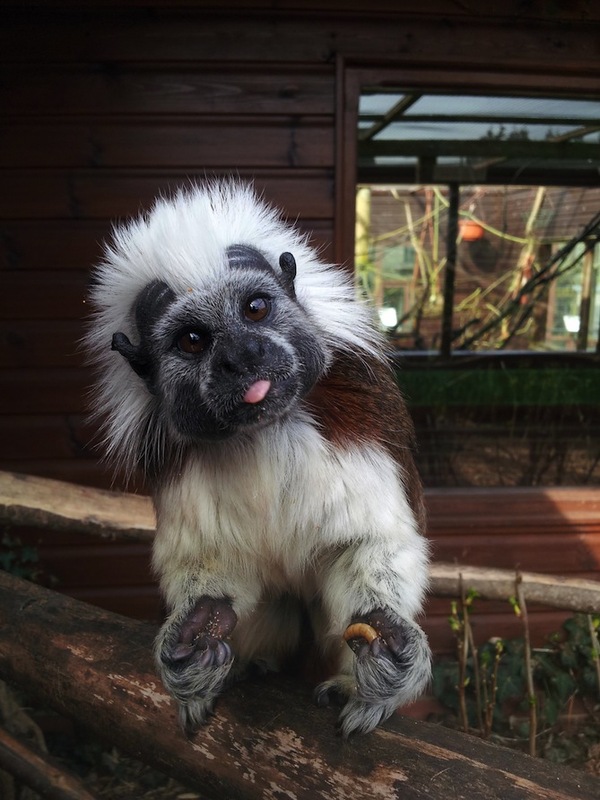 Just a few minutes drive away lies Monkey Haven – an award-winning sanctuary for primates. Even those who aren’t the biggest fans of zoos will love this spotless, spick and span, rescue centre – home to monkeys, owls and meerkats. Your heart will both break and soar to meet all kinds of monkeys who were ostracised, bullied and beaten by fellow primates at previous zoos, born with disabilities, kept illegally, smuggled, been injured in the wild or suffered crippling grief, who have all been happily rehomed here. 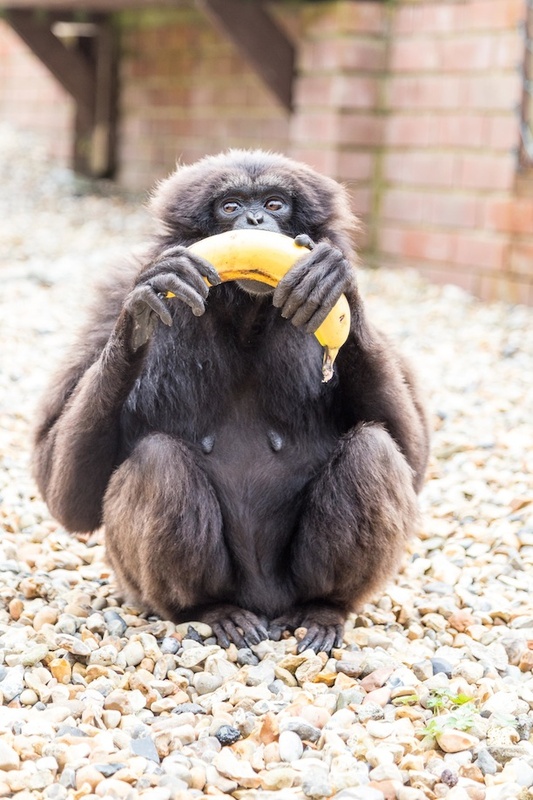 Gibbons who frequently broke into song, marmosets, lemurs, macaques and laughing kookaburras, are among the other residents. Even the House Rules for visitors are reasonable and clearly explained – along the lines of ‘we know you mean well but please don’t feed the animals as the wrong type of food can be fatal’ and ‘please don’t tap or bang on the glass – you wouldn’t like it if a monkey did this to you while you were in your living room’. The venue also features a tea room, free trail and activity booklet, and bustling play areas for both under and over fives, so plan extra time into your visit. If the very words ‘theme parks’ usually send you running for the hills, you’ll find the island’s two major attractions a breath of fresh air. Firstly, we visited Robin Hill Country Park, near Newport. 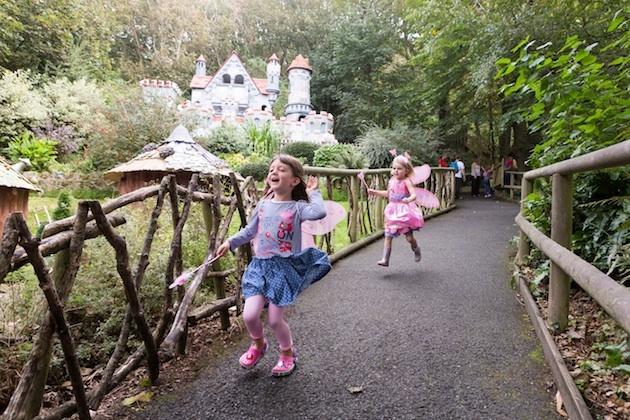 There’s a refreshing absence of high thrills and spills; adrenalin-fuelled rides are confined to a pirate ship and toboggan run (which costs an extra £1.50 per person, on top of the entry fee… our only gripe) but oodles of old fashioned fun in attractions that include a wooden maze, treetop trail, skywalk, wooden adventure park, cascading and suspension bridges. The 4D motion cinema is the best we’ve ever visited – a hair-raising, white-knuckle trip around the Great Wall of China. Its sister park, Blackgang Chine, on the southern part of the island, has to be the prettiest theme park in the UK. Situated precariously close to a cliff edge every turn offers spectacular views over the glittering sea. Although it boasts slightly more in the way of theme park rides with a rollercoaster and giant water slide most of the entertainment centres on traditional, old fashioned fun – with a hall of mirrors, dinosaur enclosure (with lifelike replicas), pirate ship, cowboy land and magical lands of make believe – including crooked houses, weather wizards, fairy trees and a singing pet shop. Both parks are open, roomy and not too crowded – even on a Saturday – with plenty of open grassy areas and picnic benches. A refreshing change from the likes of Thorpe Park and Alton Towers. 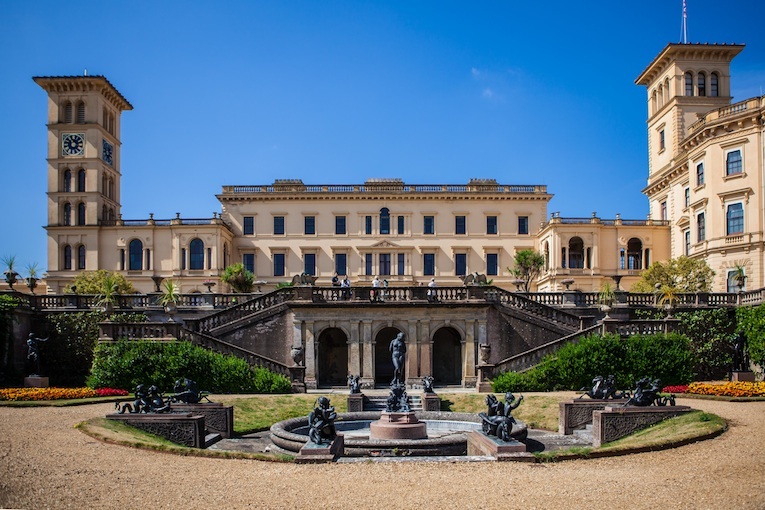 No visit to the Isle of Wight would be complete without a visit to Osborne House – the beloved seaside summer home of Queen Victoria, Prince Albert and their nine children. The tour of the house includes the Queen’s bedroom where she died on January 22 1901, surrounded by her family, and the terraces that offer a breath-taking view over the gardens and the private beach. 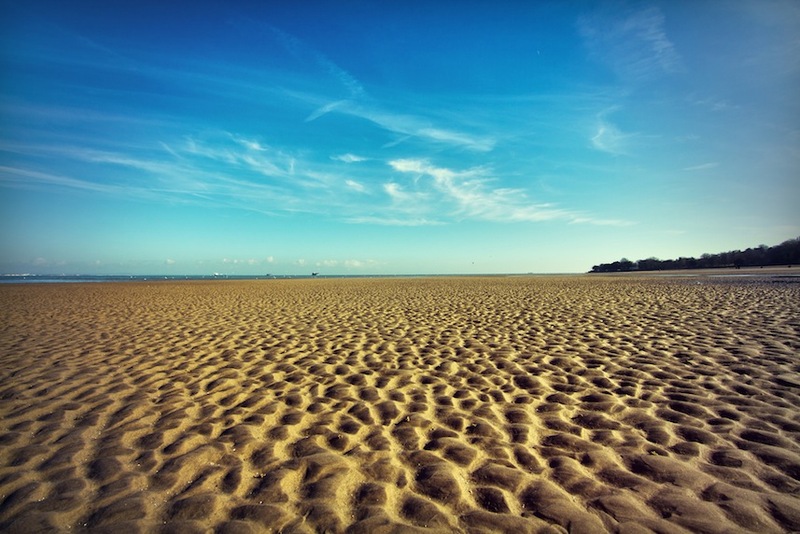 Beachwear doesn’t normally feature highly on a list of things to bring for a trip to a stately home but most stately homes don’t include access to a private beach that Queen Victoria and her nine children regularly took dips in. With a Punch and Judy show, traditional changing rooms, striped deckchairs for hire, and quaint café selling homemade ice cream, you could easily wile away the rest of a leisurely day here. More than anything is the wondrous sense that you are walking in the footsteps of our regal ancestors. 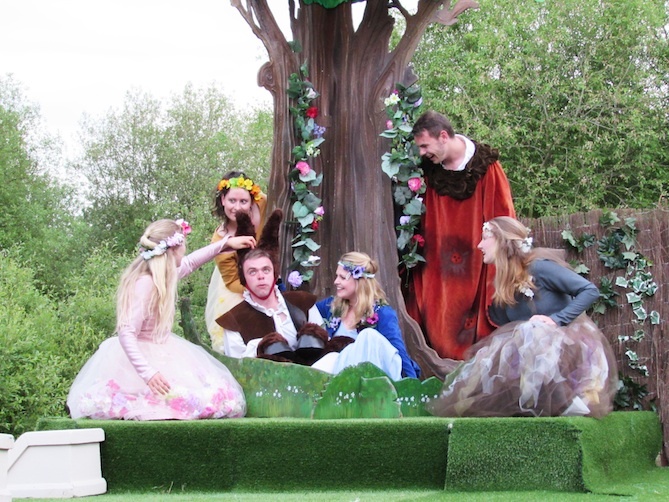 Look out for open air theatrical performances that take place on the lawn beside the house. We stayed for A Midsummer’s Night Dream by Chapterhouse Theatre Company (www.chapterhouse.org) which started on a balmy sunny evening, among picnicking families and finished under twinkling starlight. All shows sell out quickly so book well in advance. 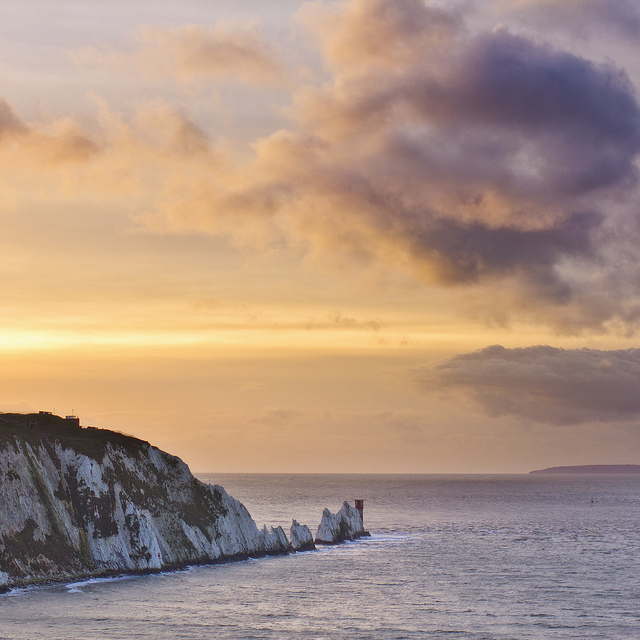 When it comes to rock formations The Needles – on the south-west coast of the island – are among the most photographed in the world and feature on many an island postcard. The original needle (a tall, slender rock of 120ft) may have collapsed into the sea 250 years ago but the name has remained for the remaining three stacks. The Needles pleasure park, a mini, bustling, amusement centre on the cliff edge, is free to enter but boasts its own currency. 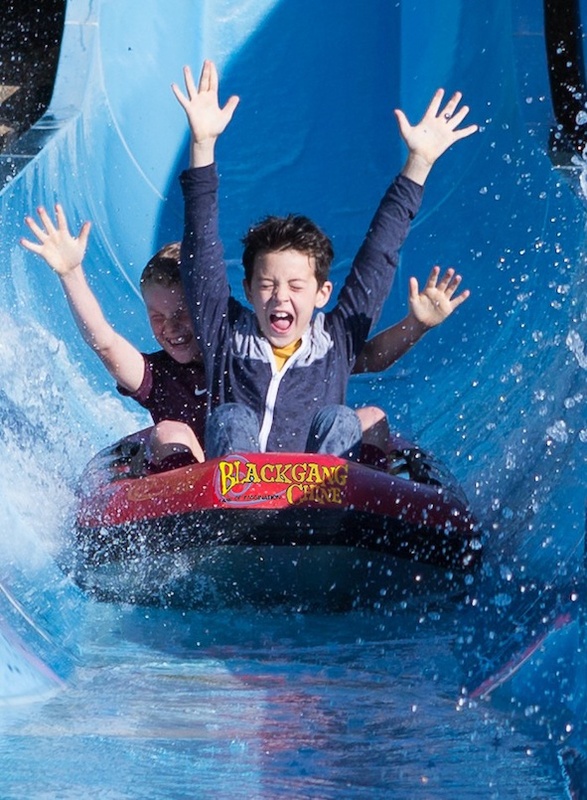 Visitors buy a bundle of tickets, each worth £1, which can then be used on the chairlift to the beach as well as activities like zorbing, fairground rides, 4D cinema and a carousel. The chairlift itself down to the beach is spectacular – even seasoned rollercoaster riders will find their stomach flipping as the cliff falls away leaving woodlands (littered with the odd dropped flip flop or straw hat), then beach, hundreds of feet below…. We saw a number of nervous riders, eyes scrunched up tight in terror, as they clung, whimpering, to fellow passengers. Again, it’s worth packing the beach bag for this day out. Down on the beach itself, sharp pebbles give way to white sand as soft and fine as talcum powder. Our two, aged nine and 13, played happily for hours in the azure sea under glorious blue skies. Pleasure boat trips out to the rock formations allow a closer look at The Needles themselves, with caves and nesting cormorants, and a spectacular view of the cliff formation – with 22 different types of sand – as you speed back to land. I’ve never been a big fan of children’s farms but locals we met on a day in Ryde raved so much about Tapnell Farm Park – the island’s newest attraction – that we decided we had to pay a visit. The farm itself looks like something from a Topsy and Tim picture book – spotless and airy, with splashes of primary colours and a smell of freshly-sawn wood. Children get to meet all of the residents – from calves to wallabies to meerkats – and can play for hours on the realms of activities. Pedal go-karts come in all shapes and sizes so parents can race children; the straw bale adventure barn features the longest indoor zip wires on the island plus a straw bale mountain to climb; outdoors is a giant inflatable pillow for bouncing while next to the café (the cleanest we have ever seen – and on a raised platform so you can see exactly what your treasures are up to) was an indoor play barn and bouldering wall. For young families, this is a must-visit. Even if you don’t want to fork out to visit an official attraction, you could happily spend an entire week just driving around the coastline exploring beaches and picture-postcard villages. 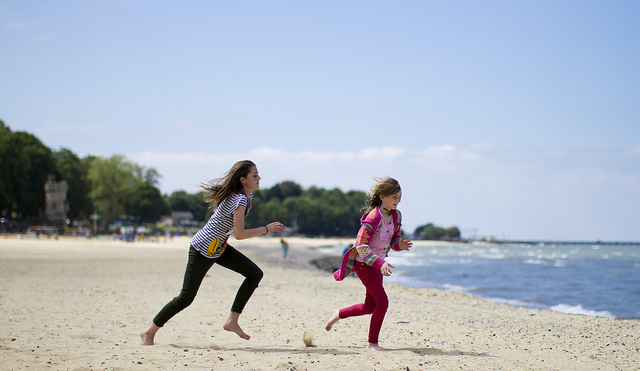 We spent hours crabbing off the pier at Yarmouth and the harbour at Bembridge, and watching the boats racing at Cowes, while Ryde has plenty of free facilities to keep young families occupied (gorgeous beach, open air splash pools and playgrounds). It’s well worth giving up your holiday reading for. Open daily until October 31, then weekends from November to February. Family ticket of two adults, two children £32. Admission includes a ‘free return within seven days pass’. Entry is free; you pay for parking and the attractions you wish to go on. Chairlift equivalent of six tickets per person return or four one way (but you can buy 12 supersaver tickets for £9. Hovertravel, Red Funnel and Wightlink are the three ferry providers offering regular services to north island ports from the south coast. Choose from Southampton to East Cowes (60 minutes); Portsmouth to Fishbourne (45 minutes) or Lymington to Yarmouth (30 minutes).